Foreign investors have pulled out over Rs 9,300 crore from the Indian capital markets in the last four working days on unabated fall in rupee and rise in crude oil price. The latest withdrawal comes following a net outflow of over Rs 21,000 crore from the capital markets (both equity and debt) last month. Prior to that, they had put in a net amount of Rs 7,400 crore in July-August. Macroeconomic data, movement of the rupee and trend in global crude oil prices would be crucial for the stock markets this week, say experts. After back-to-back hikes since June, the Reserve Bank of India (RBI) kept interest rates unchanged Friday, surprising markets that had expected a rate hike to support the tumbling rupee and combat inflationary pressures from high oil prices. Stock markets took a beating last week over rupee woes and crude oil prices. E-commerce major Flipkart Sunday said it is foraying into the insurance segment after securing a corporate agent license. To begin with, Flipkart has partnered Bajaj Allianz General Insurance to offer customised insurance solutions to power its mobile phone protection programme for all leading mobile phone brands that are sold on its platform, Flipkart said in a statement. It added that under the programme, it will offer both cash payout option or free pick up, service and drop convenience to customers. The insurance offering will be available from October 10, the start of Flipkart's The Big Billion Days (TBBD). 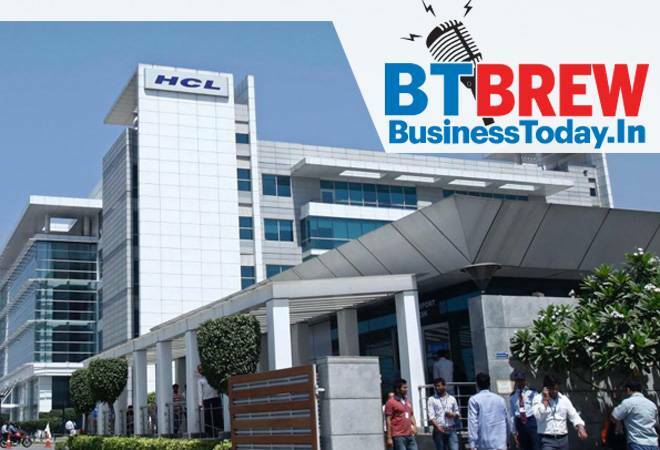 IT services major HCL Technologies will invest Rs 750 crore to set up two facilities in Andhra Pradesh that will help create 7,500 jobs in 10 years. HCL is setting up its operations in Andhra Pradesh in two phases. In the first phase, the Noida-based company will invest Rs 400 crore to build a R&D centre in Kesarapalli village in Gannavaram. The facility is expected to accommodate more than 4,000 IT professionals. The phase II will be taken up later in Amaravati, the new capital of Andhra Pradesh in a campus of 20 acres. IT company Tech Mahindra expects its cyber security business to grow in the range of 30-40 per cent, at least for the next three years, according to a senior company official. The company recently signed partnership pact with security arm of Israel government-run Israel Aerospace Industries (IAI) to provide and develop technical security solution for utility firms and critical infrastructure. Under the partnership, Tech Mahindra plans to develop internal capability to handle cyber security solution and further train people to grow business. Growth in India is firming up and projected to accelerate to 7.3 per cent in the 2018-19 fiscal and 7.5 per cent in the next two years, the World Bank has said as reported by PTI. The global lender said that the Indian economy appears to have recovered from the temporary disruptions caused by demonetisation and the introduction of the Goods and Services Tax (GST). However, domestic risks and a less benign external environment impact the macro-economic outlook, it said.